Why settle for one, when Michael Kors has so many beautiful new styles to offer – perfect for those who need more than just one bag! Things are getting loud at Christian Louboutin this season: The new styles will transform you into a real rockstar! Wear your fashion statement on your face with transparent or striking frames. Sunglasses not only protect your eyes against the sun – they’re the star of the show! ...MCM is a globetrotter's best friend. In the luggage: new bag formats, weekenders, belt bags & co.
... enjoy the new season with Gucci: For fashion-loving women who don’t just want reach for the stars, but discover whole new galaxies of handbags. The new sneaker trend is anything but. These kicks with a striking shape and futuristic sole stand out from the crowd and create thrilling styles. When it comes to style, women can rely on us 100%. 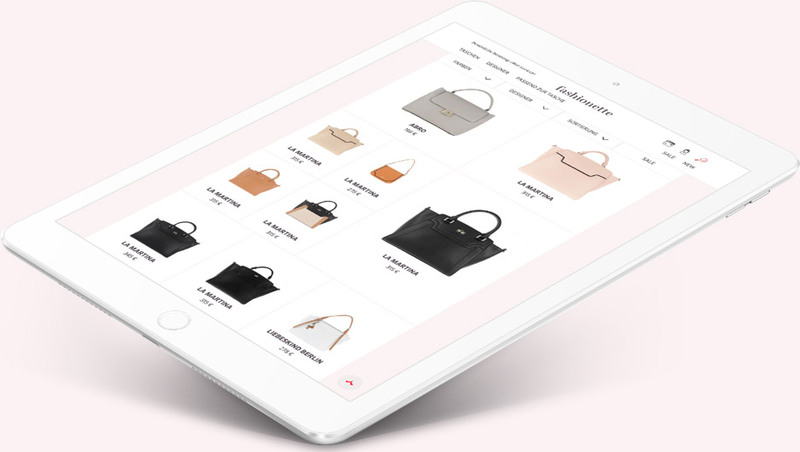 The products in our designer bag online shop are loving selected by our style experts and include more than 4,000 bags & accessories from the world's top designers - established luxury designers like Gucci and Prada, young talents like Marina Hoermanseder and Ted Baker, and sought-after premium brands like Michael Kors and Furla. With designer handbags from Valentino, Burberry, Saint Laurent, Chloè, Karl Lagerfeld and Boss, we offer the most gorgeous selection of current collections and coveted classics. From classy Gucci shoulder bags to sporty MCM backpacks - our designer bags leave nothing to be desired! You will also find the perfect accessories to go with your favorite new handbag at fashionette - from snug UGG boots and Valentino sneakers to Gucci sunglasses, Michael Kors watches and Burberry scarves.